Human Again [Tune in Tuesday] – my books. my life. 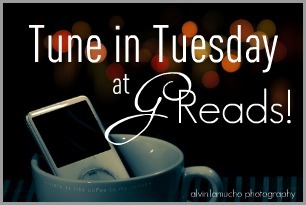 Check out the other Tune in Tuesday posts over at GReads! for more music. I love this! It reminds me a little of Regina Spektor, who I also love, though Regina Spektor is a little more strange. Very cool song! I am now going to download it, and while I am at it, I will check out the whole album. Thanks for sharing this! I haven’t downloaded anything of Ingrid’s but every time she pops up on XM I stop and listen. She’s got a little Feist in her, which for me is a huge attraction. I love her music too. I haven’t gotten my hands on this newest CD, but I can’t wait to. I had a chance to see her live about 2 years ago and she was so good! She was one of those performers that’s actually better in person. And I agree with Zibilee, she does remind me of Regina Spektor a bit and I love her work as well. I’m an Ingrid fan. I love her voice. Thanks a heap for sharing this! My Tune in Tuesday pick!